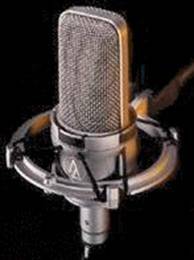 Voiceovers can be an extremely popular and competitive market. With new, up and coming artists entering into the industry all the time; Voiceover artists can never have enough exposure, even the most highly seasoned and experienced! You may be a beginner, or have experience in this field, we can assist you with our voice over training package. We feel it is very important for Voiceover artists to get that right exposure and promotion they deserve after all this increases their work prospects and recognition immensely. Any prospective work will require the voiceover artist to have completed relevant voice training and possess a strongly presented, up to date, refreshing, unique and impressive Showreel Demo after all this is your showcase and Curriculum Vitae to the industry. For showreel demos please visit www.proworks-audio.co.uk . New, aspiring or experienced talent, contact us now to discover how professional voice training and a strong showreel package can make all the difference in being heard or not. For more details on our workshop syllabus please contact us here.